The social loyalty framework is classic gamification. It’s all about increased gamer adoption. If you find yourself trying to engage the masses who are “just passing through” or you would like to convert a one-time customer into a returning one, then the social loyalty framework is for you. This framework takes what your site’s users already do — their valued behaviors (think visiting, browsing, sharing, purchasing, and so on) — and uses gamification to increase engagement and activity. This framework is highly flexible and can be implemented in many ways. Retail and e-commerce: Retail marketers want increasing conversions and retention. 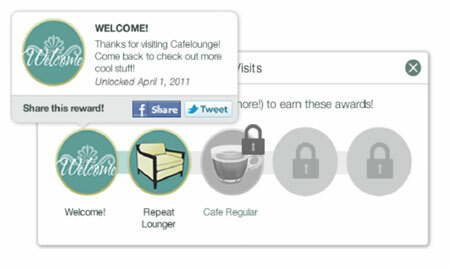 The social loyalty framework helps increase the gameplay behaviors users engage in on your gamified site. It lets you guide shoppers to content and increase retention and conversions. Entertainment: You can use this gamification framework to boost fan advocacy and loyalty for entertainment brands. It lets you measure and reward loyalty and encourages viral advocacy. Conferences, events, live experiences: This gamified framework is ideal for live events and experiences, such as conferences, with activities managers want attendees to perform. It can motivate conference attendees to check-in to sessions and visit booths on a trade show floor, for example, to complete a mission and receive a reward. Recognition: A major reason it’s effective in many communities is the essential human desire for acknowledgement. Recognition for achieving a task or accomplishing a goal not only feeds this human need but encourages engagement and increases repetition of valued (and valuable) gameplay behaviors. Visualization of progress: Through simple feedback (points, leaderboards, levels, achievements, badges, and so on), users receive clear guidance as to what they’ve achieved and what else they need to do to move forward. This visualization of where they’ve been and where they’re going is instrumental. Rewards: Gameplay rewards are valuable to all users, whether they’re driven by monetary incentives, privileges, or recognition. Using this framework, all types of rewards can be easily leveraged.